Comprenew’s philosophy is to promote reuse over recycling whenever possible. 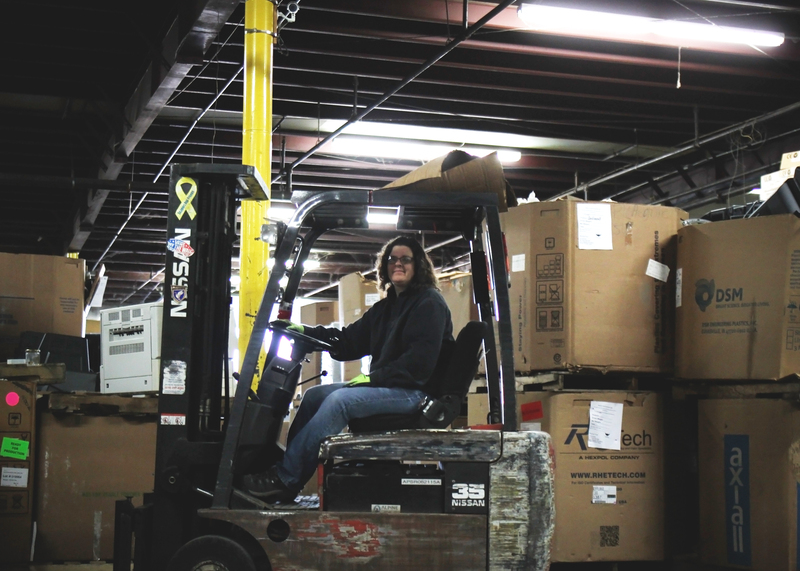 Refurbishing and reselling used electronics extends their usefulness, minimizes environmental impact by reducing waste and manufacturing costs, and provides training and employment opportunities. At Comprenew, we follow industry best practices to ensure that your assets are securely handed and your data is never compromised, which allows you to maximize the remaining value in your unwanted equipment. We track your assets using state-of-the-art software and offer detailed reports so that you can remain compliant. Contact us today at 616-451-4400 and our team of experts will be waiting to discuss your unique needs. We ensure that all data-bearing devices are cleared and a certificate of destruction is provided. Comprenew also offers logistics, asset tracking and tag removal, and secure storage options.